An orchard in fall is a place of abundance and golden beauty, with trees covered in crisp apples and fragrant pears waiting to be picked and turned into pies, preserves, and hard cider. 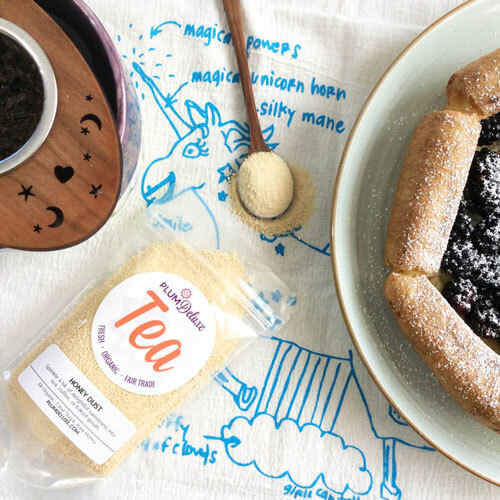 With such an abundant place for inspiration, an orchard tea party becomes an event of intoxicating scents, delicious foods, and moments for reflection and appreciation over a cup of warm and spicy tea. 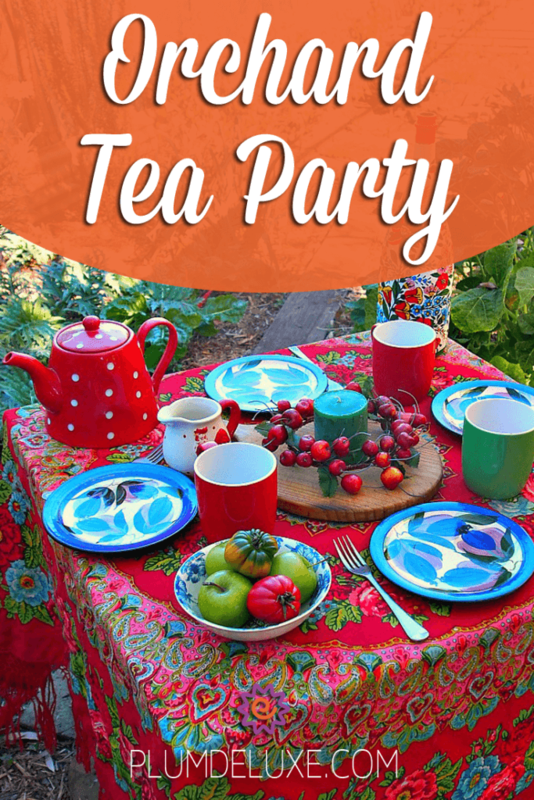 Choose a sun-drenched autumn afternoon for your orchard tea party, and set it in a place of growth such as a lush, green garden, a sun-dappled glade in the woods, or, if you can find one, beneath the leafy boughs of a spreading fruit tree. Provide a basket of wool blankets to keep your guests warm and cozy even if a brisk fall breeze blows in. 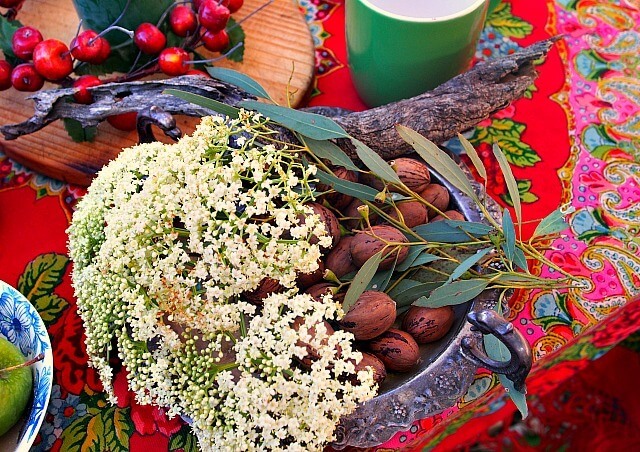 Embrace the luscious colors of fall as you set your tea table. 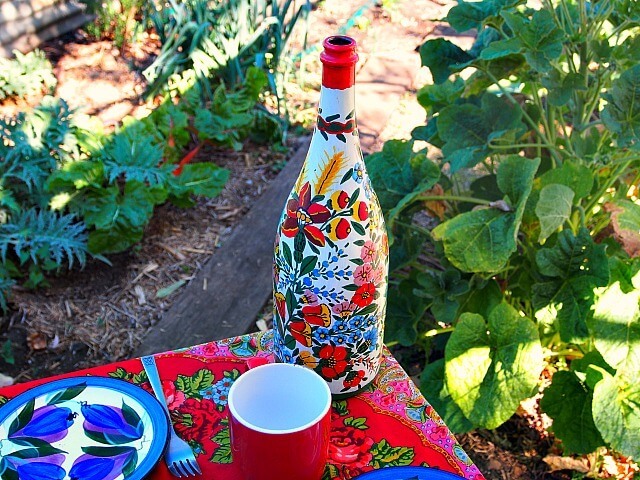 Spread a tablecloth in rich, vibrant reds, oranges, and yellows. 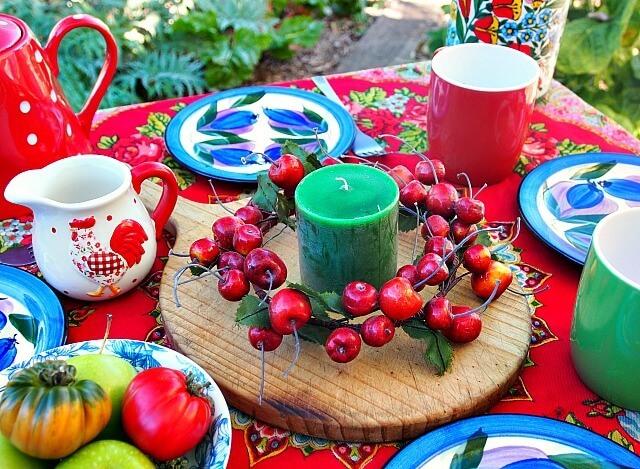 Instead of flowers, you could assemble pottery pots and vases painted in brilliant colors and bowls filled with ripe apples and the last tomatoes of summer. If you don’t have a garden or orchard to harvest from, you can still give your table an abundant feel with artificial apples and pears. Set a festive atmosphere with a candle that sends out shimmers of green apple fragrance. 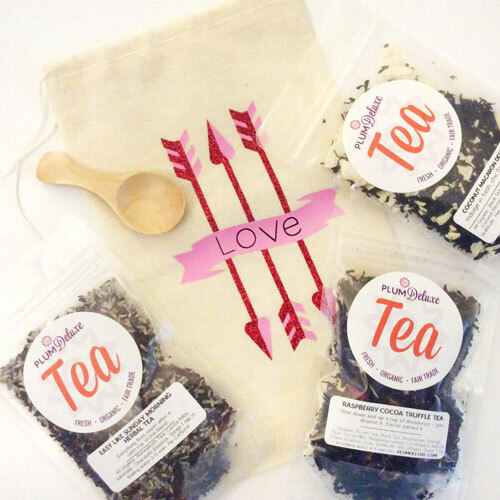 A gorgeous apple cinnamon tea like our Spicy Caramel Apple blend is the perfect beverage for your orchard tea party. 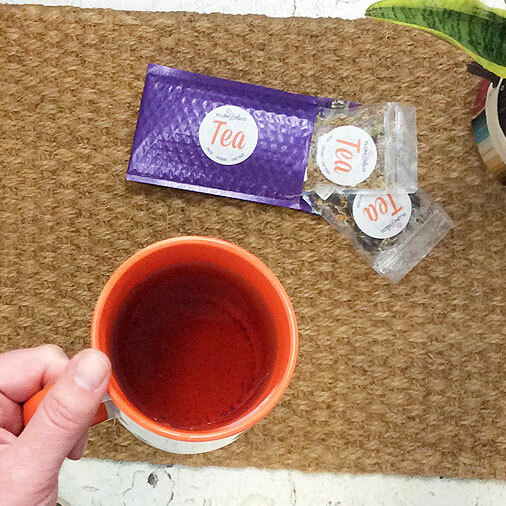 Sweetened with honey or real maple syrup, the tea is taken to a new level of deliciousness. 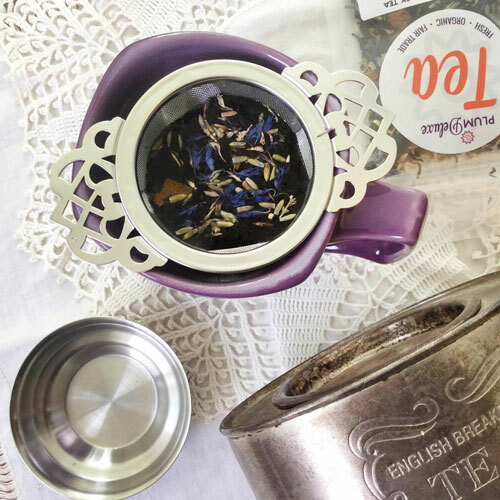 With such a fruity and spicy tea, it’s easy to choose a menu that matches it beautifully. Charm your guests with adorable individual pumpkins filled with savory Pumpkin Stew while you share a pan of Sweet and Spicy Corn Dip with plenty of tortilla chips or crackers for dipping. The stew is hearty and the dip rich, so you won’t need much more to round out your meal. For dessert, these Maple Mixed Nut and Seed Tarts are splendid with a filling studded with pecans, walnuts, and pumpkin seeds. Finish things off with Smoked Vanilla Cinnamon Almonds, a fine cheese or two, and another cup of tea. What emotions or memories does this item bring up for you? Why does this item represent fall to you? What is your favorite fall tradition, why is it so meaningful, and who do you like to share it with?